This entry was posted in KPK ETEA Engineering, UET and tagged Best way to prepare for UET, Engineering Programs at UET, Merit List UET, UET, UET Abbottabad, UET Abbottabad Admissions, UET admission, UET Admission 2017, UET Admission Test Date 2017, UET Answer Key 2017, UET Chemistry Explained MCQs, UET Chemistry MCQs, UET Chemistry MCQs with Answer, UET Chemistry MCQs with answers, UET ECAT Result, UET Entrance Test, UET Entrance Test Result 2017, UET Entrance Test Results 2017, UET entry test, UET Entry Test 2017, UET Entry Test Online Preparation, UET Explained MCQs Online, UET KPK, UET Mathematics Explained MCQs, UET Maths MCQs with answer, UET Maths MCQs with Answers, UET Maths MCQs with solution, uet mcqs, UET MCQs Online, UET Merit List, UET Merit List 2015, UET Merit List 2017, UET Open Merit, UET Open Merit Seats, UET peshawar, UET Peshawar Admission, UET Peshawar Admission 2015, UET Peshawar Admission 2017, UET Peshawar Admission Dates 2017, UET Peshawar Chemistry MCQs, UET Peshawar English MCQs, UET Peshawar Entrance Test, UET Peshawar Entrance Test 2015, UET Peshawar Entrance Test 2016, UET Peshawar ETEA, UET Peshawar Maths MCQs, uet peshawar mcqs, UET Peshawar Physics MCQs, UET Peshawar Scholarships, UET Physics Explained MCQs, UET Physics MCQs with Answer, UET Physics MCQs with Answers, UET Solved MCQs on July 29, 2017 by Pakprep.com Admin. Educational Testing and Evaluation Agency of Khyber Pakhtunkhwa commonly known as ETEA. ETEA has announced its admission dates for engineering programs for session of 2017-18. Last date to apply online for UET Peshawar/ ETEA engineering entrance test is 12 June 2017. ETEA engineering/ UET Peshawar Entrance Test will be held simultaneously in Peshawar, Abbottabad, Swat and D.I Khan. ETEA entrance test will held on 09th July 2017. All candidates are eligible to appear in the UET Peshawar entrance test organized by ETEA engineering, if they have done Part I or Part II of FSc. Students with awaiting result can also apply. However, to get admission in UET Peshawar, minimum 60% marks are required. ETEA engineering test is very tough and due to less number of seats available competition is so high, so only those students can get admission who will prepare well for the test. Pakprep.com provides the complete coursework for UET Peshawar/ ETEA entrance test. We have more than 15,000+ fully explained MCQ’s and MOCK test for ETEA. Register here today for FREE to start your ETEA Preparation. This entry was posted in KPK ETEA Engineering, UET and tagged Best way to prepare for ETEA, Best way to prepare for UET, Engineering Programs at UET, ETEA 2007, ETEA 2009, ETEA 2011, ETEA 2014, ETEA 2015, ETEA 2017, ETEA Admission, ETEA Admission 2017, ETEA Chemistry MCQs, ETEA ECAT, ETEA Engineering, ETEA Engineering 2017, ETEA Engineering Chemistry MCQs, ETEA Engineering Maths MCQs, ETEA Engineering Physics MCQs, ETEA Engineering Registration dates, ETEA Engineering registration dates 2017, ETEA Entry Test, ETEA Entry Test past paper, ETEA Entry Test Past Papers, ETEA KPK Past Paper, ETEA KPK Past Papers, ETEA MCQs, ETEA Online Preparation, ETEA Past Papers, ETEA Peshawar, ETEA Physics MCQs, ETEA Preparation, ETEA Preparation Online 2015, ETEA Preparation Online 2016, ETEA Preparation Online 2017, ETEA registration, ETEA registration dates, ETEA result, ETEA Solved MCQs, ETEA Solved Past Papers, ETEA test, ETEA test result, How to Prepare for ETEA, KPK Chemistry MCQs, KPK ECAT 2015, KPK ECAT English MCQs, KPK ECAT Maths MCQs, KPK ECAT MCQs, KPK ECAT Physics MCQs, KPK Engineering, KPK Engineering 2017, KPK ETEA, KPK ETEA 2015, KPK ETEA 2016, KPK ETEA 2017, KPK ETEA Chemistry MCQs, KPK ETEA Engineering, KPK ETEA Entrance Test, KPK ETEA Maths MCQs, KPK ETEA MCQs, KPK ETEA Online Preparation, KPK ETEA Past Papers, KPK ETEA Physics MCQs, KPK ETEA Sample Test, KPK ETEA Scholarships, KPK ETEA SOLVED MCQS, KPK ETEA test pattern, Merit List UET, Prepare KPK ETEA Online, Top UET in Pakistan, UET, UET admission, UET Admission 2017, UET Admission Test Date 2017, UET Chemistry Explained MCQs, UET Chemistry MCQs, UET Chemistry MCQs with answers, UET Entrance Test, UET entry test, UET Entry Test 2016, UET Entry Test 2017, UET Entry Test Online Preparation, uet explained mcqs, UET Explained MCQs Online, UET KPK, UET Mathematics Explained MCQs, UET Mathematics MCQs, UET Maths MCQs, UET Maths MCQs with Answers, UET Maths MCQs with solution, uet mcqs, UET MCQs Online, uet mcqs with answers, UET Merit List, UET Merit List 2015, UET Merit List 2017, UET peshawar, UET Peshawar Admission, UET Peshawar Admission 2015, UET Peshawar Admission 2017, UET Peshawar Admission Dates, UET Peshawar Admission Dates 2017, UET Peshawar Chemistry MCQs, UET Peshawar English MCQs, UET Peshawar Entrance Test, UET Peshawar Entrance Test 2015, UET Peshawar Entrance Test 2016, UET Peshawar Maths MCQs, uet peshawar mcqs, UET Peshawar Past Papers, UET Peshawar Physics MCQs, UET Peshawar Scholarships, UET Physics MCQs with Answer, UET Solved MCQs on June 1, 2017 by Pakprep.com Admin. UET Peshawar has announced its admission test date for 2016-17 Undergraduate admission. Applications are invited for B.SC Engineering, Bachelor of Computer Science, and Bachelor of Architecture. Test would be held on 17th of July 2016. Registration has been started from 16th May 2016.Forms are available online. UET Peshawar is the top ranking public sector university in KPK and much wanted among the students aspiring to become engineers. Prepare for UET Peshawar using Pakprep.com. Pakprep has complete coursework for UET Peshawar. Register here for free!!!! This entry was posted in UET and tagged Best way to prepare for ETEA, Best way to prepare for UET, Engineering Programs at UET, ETEA, ETEA 2015, ETEA Chemistry MCQs, ETEA ECAT, ETEA Entry Test, ETEA MCQs, ETEA Online Preparation, ETEA Past Papers, ETEA Physics MCQs, ETEA Preparation, ETEA Preparation Online 2015, ETEA Preparation Online 2016, ETEA Solved MCQs, ETEA Solved Past Papers, How to Prepare for ETEA, KPK ETEA, KPK ETEA 2015, KPK ETEA 2016, KPK ETEA Chemistry MCQs, KPK ETEA Entrance Test, KPK ETEA Maths MCQs, KPK ETEA MCQs, KPK ETEA Online Preparation, KPK ETEA Past Papers, KPK ETEA Physics MCQs, KPK ETEA Sample Test, KPK ETEA Scholarships, KPK ETEA SOLVED MCQS, KPK ETEA test pattern, Pakprep ETEA, Prepare KPK ETEA Online, Top UET in Pakistan, UET, UET admission, UET Admission Test Date 2015, UET Admission Test Date 2016, UET Chemistry MCQs, UET Entrance Test, UET entry test, UET Entry Test 2015, UET Entry Test Online Preparation, UET KPK, UET Mathematics MCQs, UET Maths MCQs, uet mcqs, UET MCQs Online, UET Merit List, UET Merit List 2015, UET peshawar, UET Peshawar Admission, UET Peshawar Admission Dates, UET Peshawar Chemistry MCQs, UET Peshawar English MCQs, UET Peshawar Entrance Test, UET Peshawar Entrance Test 2015, UET Peshawar Entrance Test 2016, UET Peshawar Entry Test, UET Peshawar ETEA, UET Peshawar Maths MCQs, uet peshawar mcqs, UET Peshawar Past Papers, UET Peshawar Physics MCQs, UET Peshawar Scholarships, UET Physics MCQs, UET Solved MCQs on May 24, 2016 by Pakprep.com Admin. ECAT is the test commonly used for getting admission into the University of Engineering & Technology (UET) Lahore or its allied colleges. Many other public sector institutions such as University of Punjab, UET Taxila, BZU Multan, Islamia University Bahawalpur and several private institutions also need Combined Entry Test conducted by UET Lahore as a pre-requisite. This entry was posted in UET and tagged best way to prepare for entry tests, Best way to prepare for Entry Tests in Pakistan, Best way to prepare for UET, Engineering Programs at UET, How to Prepare for UET Lahore, online, online entry test mcqs, Online Entry Test Preparation, Top UET in Pakistan, UET, UET admission, UET Admission Test Date 2015, UET Admission Test Date 2016, UET Chemistry MCQs, UET Entrance Test, UET entry test, UET Entry Test 2015, UET Entry Test Online Preparation, UET Faisalabad, UET Gujranwala, UET Gujranwala Admission, UET KPK, UET Lahore, UET Lahore Admission, UET Lahore Admission Dates 2015., UET Lahore Chemistry MCQs, UET Lahore Entrance Test, UET Lahore Faculties, uet lahore mcqs, UET Lahore Merit List 2015, UET Lahore Programs, UET Lahore Scholarships, UET Lahore Undergraduate Programs, UET Mathematics MCQs, UET Maths MCQs, uet mcqs, UET MCQs Online, UET Merit List, UET Merit List 2015, UET peshawar, UET Peshawar Admission, UET Peshawar Admission Dates, UET Peshawar Chemistry MCQs, UET Peshawar English MCQs, UET Peshawar Entrance Test, UET Peshawar Entrance Test 2015, UET Peshawar Entrance Test 2016, UET Peshawar Entry Test, UET Peshawar Entry Test 2015, UET Peshawar ETEA, UET Peshawar Maths MCQs, uet peshawar mcqs, UET Peshawar Past Papers, UET Peshawar Physics MCQs, UET Peshawar Scholarships, UET Physics MCQs, UET Solved MCQs, UET Taxila, UET Taxila Admission, uet taxila mcqs on May 17, 2016 by Pakprep.com Admin. Selecting correct engineering university is very important for your entire career. 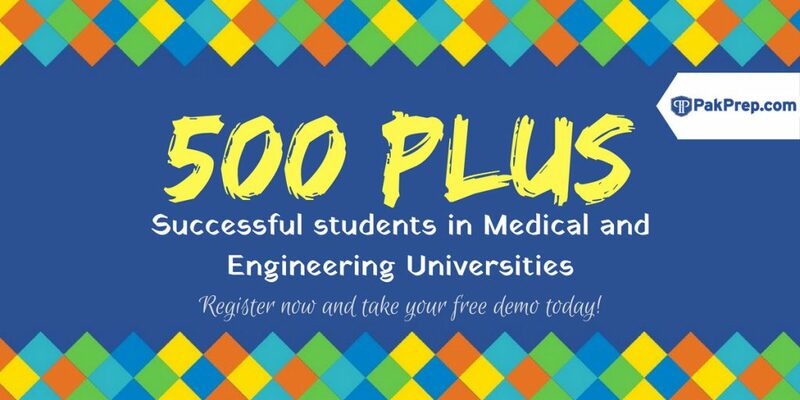 If you do not get admission in highly ranked universities of Pakistan, make sure that you join an engineering university that has a recognized engineering program. Pakistan Engineering Council (PEC) is the main authority for the approval of engineering program. In KPK 18 engineering colleges are recognized by Pakistan Engineering Council (PEC) with total of 53 engineering programs. You must note that not all programs of a university might be recognized by Pakistan Engineering Council (PEC). Pakprep provides complete course work for the preparation on all Engineering Universities Entrance Test of KHYBER-PAKHTUNKHWA (KPK). CLICK HERE to register and start your entry test preparation today. This entry was posted in Entry Test Preparation, KPK ETEA Engineering and tagged Best way to prepare for GIKI, Best way to prepare for NUST, Best way to prepare for UET, Comsat, COMSAT Scholarships, comsats, Download NUST NET Past Paper, Download NUST Past Papers, Engineering Programs at UET, English Comprehension MCQs, GIKI, GIKI 2015, GIKI Admission, GIKI Admission 2016, GIKI admissions, giki aid, GIKI Application, GIKI BS, giki eligibility, GIKI Entrance Test, GIKI Entrance Test 2016, giki entry test, GIKI entry test 2016, GIKI Entry Test Format, GIKI Entry Test Preparation, GIKI Entry Test Syllabus, giki financial aid, giki maths, GIKI Maths MCQs, GIKI Maths Syllabus, giki mcqs, GIKI Mock Tests, GIKI Past Paers, giki past paper, GIKI Past Papers, GIKI Past Papers GIKI Past Paper Download, giki physics, giki physics mcqs, GIKI Practice Tests, giki sample mcqs, GIKI Scholarhips, giki scholarships, giki solved mcqs, GIKI Syllabus, giki test, GIKI Test Online Preparation, GIKI Test Pattern, GIKI undergraduate, How I prepared for GIKI Entry Test, How much marks I need in NUST NET?, How to Calculate NUST Aggregate, How to Prepare for NUST NET 2016, How to prepare NUST NET, KPK Chemistry MCQs, KPK ECAT 2015, KPK ECAT English MCQs, KPK ECAT Maths MCQs, KPK ECAT MCQs, KPK ECAT Physics MCQs, KPK Engineering, KPK ETEA, KPK ETEA 2015, KPK ETEA 2016, KPK ETEA Chemistry MCQs, KPK ETEA Engineering, KPK ETEA Entrance Test, KPK ETEA Maths MCQs, KPK ETEA MCQs, KPK ETEA Online Preparation, KPK ETEA Past Papers, KPK ETEA Physics MCQs, KPK ETEA Sample Test, KPK ETEA Scholarships, KPK ETEA SOLVED MCQS, KPK ETEA test pattern, Marks Required in NUST NET?, NET format, nust 2015, nust admission, Nust Admission Test, Nust Admission Test 2015, Nust Admission Test 2015 engineering, Nust Admission Test 2015 NUST NET 2015 Preparation, Nust Admission Test 2016 engineering, NUST Aggregate, NUST Eligibility Criteria, nust engineering, NUST Engineering Past Paper, Nust Entrance Test 2016, NUST Entry test 2015 preparation, nust net, NUST NET 1, NUST NET 2, NUST NET 2016, NUST NET 2016 Format, NUST NET 3, NUST NET 3 Preparation Online, NUST NET Entry Test Preparation, Prepare KPK ETEA Online, Solved GIKI MCQs, Top UET in Pakistan, UET, UET admission, UET Admission Test Date 2015, UET Admission Test Date 2016, UET Chemistry MCQs, UET Entrance Test, UET entry test, UET Entry Test Online Preparation, UET KPK, UET Mathematics MCQs, UET Maths MCQs, uet mcqs, UET MCQs Online, UET Merit List, UET peshawar, UET Peshawar Admission, UET Peshawar Admission 2015, UET Peshawar Admission Dates, UET Peshawar Chemistry MCQs, UET Peshawar English MCQs, UET Peshawar Entrance Test, UET Peshawar Entrance Test 2015, UET Peshawar Entrance Test 2016, UET Peshawar Entry Test, UET Peshawar Entry Test 2015, UET Peshawar ETEA, UET Peshawar Maths MCQs, uet peshawar mcqs, UET Peshawar Past Papers, UET Peshawar Physics MCQs, UET Peshawar Scholarships on February 7, 2016 by Pakprep.com Admin. KPK ETEA entrance test is a pre-requisite for getting admission in public sector engineering and medical colleges in KPK, Hundreds of students take KPK ETEA every year and it is very competitive. ETEA is based on the FSc or A levels coursework in Physics, Chemistry, Maths or Biology. ETEA is based on the conceptual understanding of the topics rather than the ability to memorize things. Therefore, it is important to get a good understanding of the basic concepts of Physics, Chemistry, Maths or Biology. One thing that we strongly recommend is to practice as many MCQs as one can. Pakprep.com is the best source to prepare for ETEA and in 2015 many of our members got admission in UET and medical colleges in KPK. REGISTER TODAY FOR FREE to PREPARE for KPK ETEA 2016 !!!!! This entry was posted in KPK ETEA Engineering, KPK ETEA Medical, Pakprep and tagged Ayub Medical College Admission, Ayub Medical College Entrance Test, Ayub Medical College ETEA, enggentrancetest, Engineering Programs at UET, ETEA Engineering, ETEA MCQs, ETEA Medical, ETEA Medical 2016, ETEA Past Papers, ETEA Solved MCQs, ETEA Solved Past Papers, How to Prepare for ETEA, How to Prepare for KPK ETEA Medical, How to Prepare for UET Lahore, Khyber Medical College Admissions, Khyber Medical College Entrance Test, Khyber Medical College Entry Test, Khyber Medical College Scholarships, KPK Engineering, KPK ETEA, KPK ETEA 2016, KPK ETEA Biology MCQs, KPK ETEA Chemistry MCQs, KPK ETEA Online Preparation, KPK ETEA Past Papers, KPK ETEA Physics MCQs, KPK Medical, Prepare KPK ETEA Online, Top UET in Pakistan, UET admission, UET Admission Test Date 2016, UET Chemistry MCQs, UET Entrance Test, UET entry test, UET Entry Test Online Preparation, UET Lahore Admission Dates 2015., UET Mathematics MCQs, UET Maths MCQs, uet mcqs, UET Peshawar Entrance Test, UET Peshawar Entrance Test 2016, UET Peshawar Entry Test, UET Peshawar ETEA, UET Peshawar Past Papers, UET Physics MCQs, UET Taxila Admission on December 7, 2015 by Pakprep.com Admin.